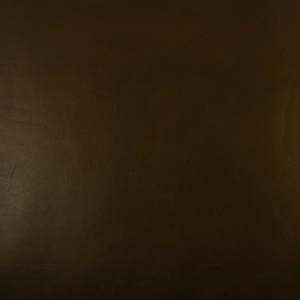 This 1.2-1.4mm cowhide is vegetable tanned using traditional tree bark liquor and surface dyed with non-toxic water based dyes, to produce a natural and environmentally sound leather. Ideal for notebooks, wallets and purses, this is a solid but fairly light weight leather that holds its shape well, has a neat reverse side and cuts with a nice clean sharp edge. 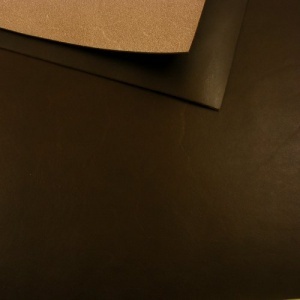 This is an 30x60cm sized rectangle of Dark Brown leather. This leather is also available in a heavier weight, found in related items below.